As part of the MSRB's long-term strategic focus to further evolve the Electronic Municipal Market Access (EMMA®) website, we recently published a renewed vision for EMMA that reflects its broad market utility and the ongoing information needs of all market stakeholders. We launched the EMMA website nearly a decade ago to provide retail investors with centralized, online and free access to real-time municipal securities transaction prices and disclosure documents. Given the broader market’s strong adoption of EMMA as an industry utility, we believe a vision statement that captures the interests of not only retail investors but also municipal entities, dealers, municipal advisors, institutional investors and the public is important for future development. We also developed a set of guiding principles to inform our priorities for future enhancements to EMMA. By establishing these guiding principles, we can ensure our investment in EMMA advances market transparency and appropriately balances costs, benefits and the public interest. Read the EMMA vision statement and guiding principles. Read more about the MSRB’s strategic objective to further evolve the EMMA website into a comprehensive transparency platform that meets the needs of municipal market participants and the public. The MSRB recently published an overview of the municipal securities provisions of the current federal tax reform proposals. The document, prepared for policymakers and the media who may be unfamiliar with the market, addresses the potential repeal of advance refunding bonds, taxation of private activity bonds and taxation of bonds issued to finance professional sports stadiums. Download Municipal Securities Provisions of the “Tax Cuts and Jobs Act” for an objective resource on the proposed changes. Read the full request for comment and submit your feedback by the new deadline of Friday, February 8, 2018 (extended from December 22, 2017). The purpose of this request is to jumpstart a long-term dialogue with stakeholders on how the MSRB can most effectively facilitate compliance. We welcome preliminary input to help us begin to focus our efforts and we welcome continued comments from stakeholders throughout the year. Like many MSRB Board members, Lucy Hooper was first exposed to the work of the MSRB as a member of one of its advisory committees. 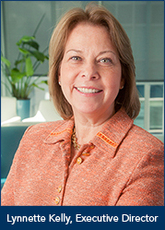 Her eight-year tenure on the MSRB Professional Qualifications Committee, which develops and maintains competency exams for municipal securities professionals, piqued Hooper’s interest in how a self-regulatory organization developed standards for its industry members. Hooper joined the Board in 2015 and this year was elected Chair. 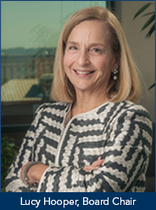 Her more than 35 years of experience in the municipal securities business—the majority at Davenport & Company, a regional broker-dealer in Richmond, VA—inform her contributions as a board member. “From trading and sales order flow, to bond underwriting and retail sales, my experience helps ensure that the MSRB’s activities – whether they be regulatory or educational—consider all the features and intricacies of our business,” she says. The MSRB will begin accepting applications for its Board of Directors on January 8, 2018. The MSRB Board consists of 11 independent members representative of the public, including investors, municipal entities and other individuals that are not regulated by the MSRB. The Board also has 10 members that represent MSRB-regulated entities, including broker dealers, bank dealers and municipal advisors. In 2018, the MSRB is seeking applicants to fill two public and three regulated-entity positions. Read more about the Board of Directors. To be considered for a position on the MSRB Board of Directors, candidates must submit an application, which will be available on the MSRB Board of Directors Application Portal, in January. Register to attend the first in a series of free virtual compliance workshops designed for municipal securities dealers and municipal advisors. Join MSRB staff for an in-depth discussion about key provisions of MSRB Rule G-42 on duties of non-solicitor municipal advisors related to advice and recommendations. This workshop will follow a question-and-answer format based on questions and suggestions from regulated entities and other stakeholders. To submit questions in advance of any workshop or to suggest topics for future workshops, email MSRBEvents@msrb.org. Read more about the MSRB’s strategic objective to facilitate industry understanding of and compliance with MSRB rules through rule guidance, clarification and education in support of market efficiency. In 2018, the MSRB will host a series of Town Hall meetings intended to support the municipal market community and provide a forum for capturing ideas to advise the MSRB’s activities. Market stakeholders will have the chance to communicate directly with MSRB Board members and staff about their expectations of the MSRB, and its current and future initiatives. The Town Halls will be open to all. Registration information and other details are forthcoming.